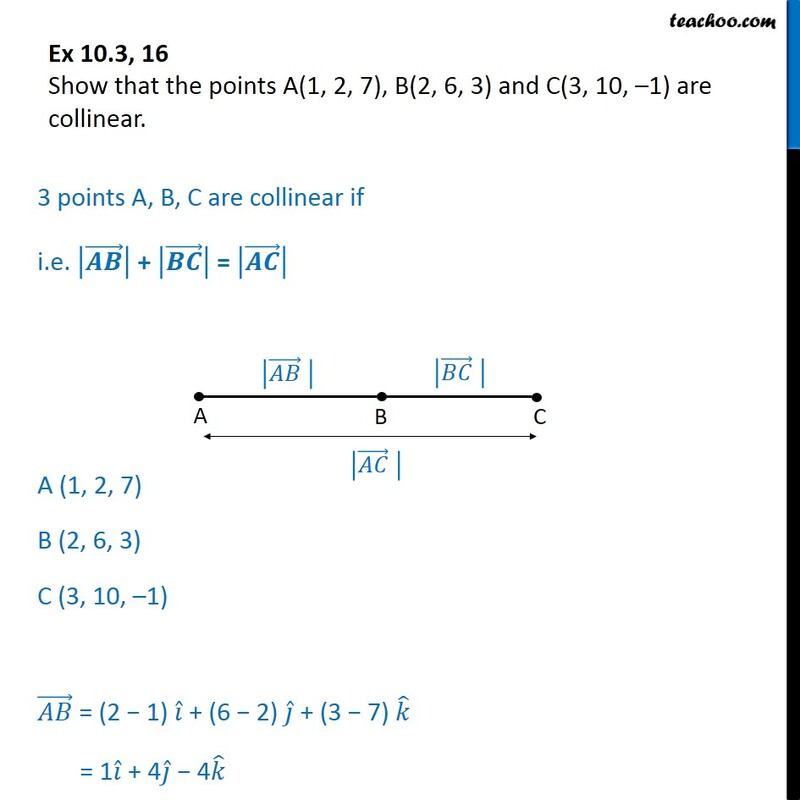 Ex 10.3, 16 (Introduction) Show that the points A(1, 2, 7), B(2, 6, 3) and C(3, 10, 1) are collinear. 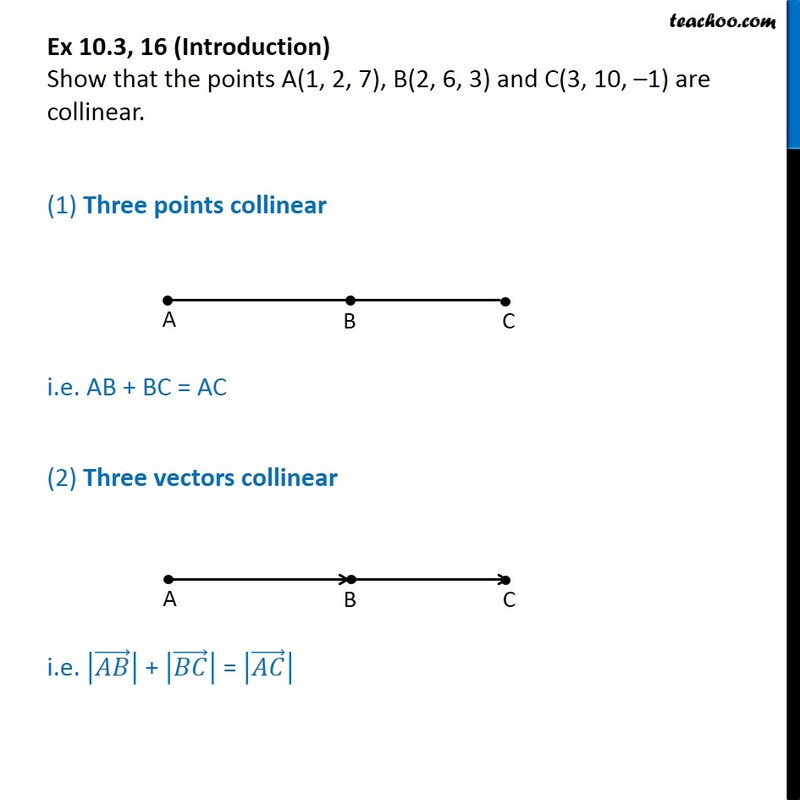 (1) Three points collinear i.e. 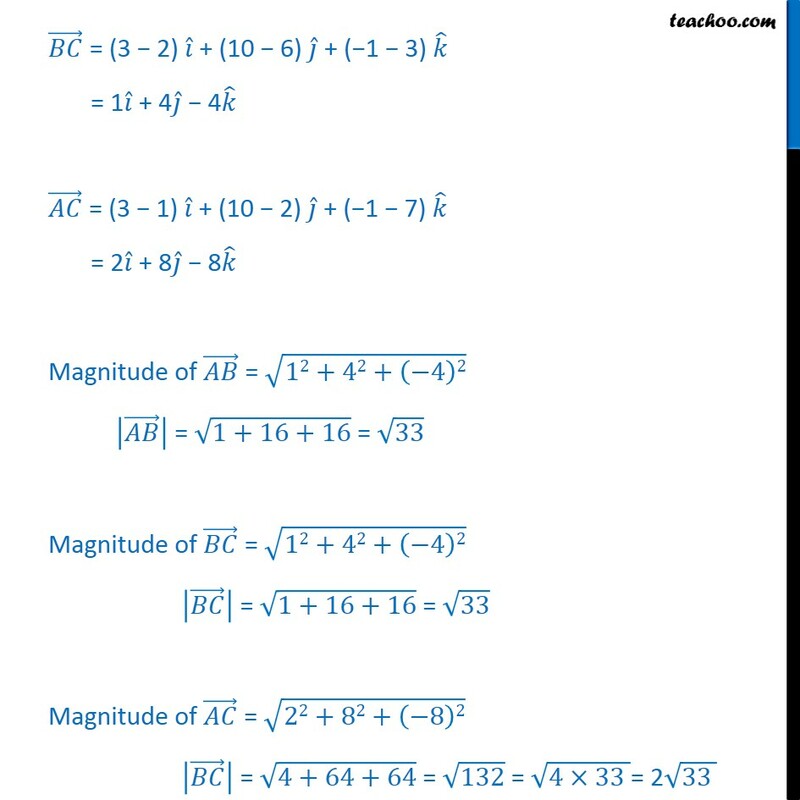 AB + BC = AC (2) Three vectors collinear i.e. + = Ex 10.3, 16 Show that the points A(1, 2, 7), B(2, 6, 3) and C(3, 10, 1) are collinear. 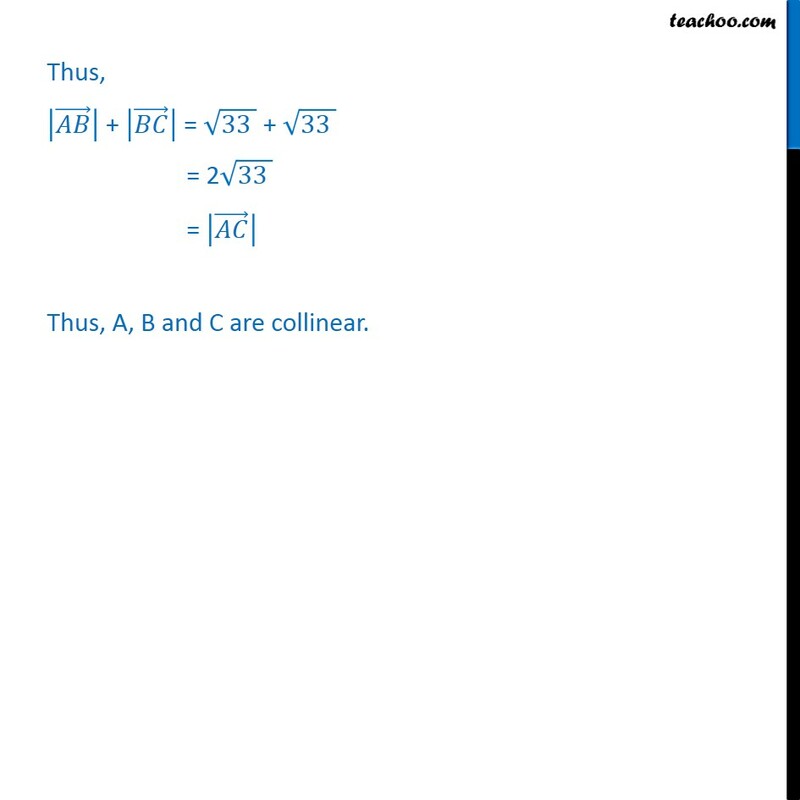 3 points A, B, C are collinear if i.e. + = A (1, 2, 7) B (2, 6, 3) C (3, 10, 1) = (2 1) + (6 2) + (3 7) = 1 + 4 4 = (3 2) + (10 6) + ( 1 3) = 1 + 4 4 = (3 1) + (10 2) + ( 1 7) = 2 + 8 8 Magnitude of = 12+42+ 4 2 = 1+16+16 = 33 Magnitude of = 12+42+ 4 2 = 1+16+16 = 33 Magnitude of = 22+82+ 8 2 = 4+64+64 = 132 = 4 33 = 2 33 Thus, + = 33 + 33 = 2 33 = Thus, A, B and C are collinear.